I’m at the Nakaya Clinic hosted by Aesthetic Bay in Singapore. 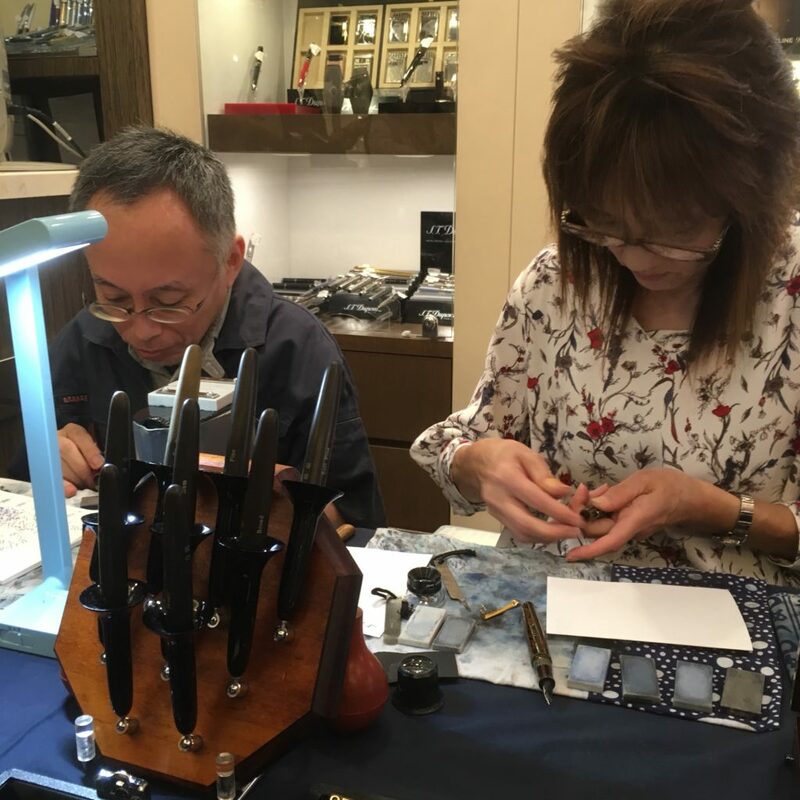 It’s a three day event where the Nakaya team (Yoshida-san, his assistant, and a translator) brings pens and offers time to get your Nakaya and Platinum nibs tuned and adjusted (by appointment). They are willing to do some grinds, but generally grinds take a lot of time so not all grinds are available. 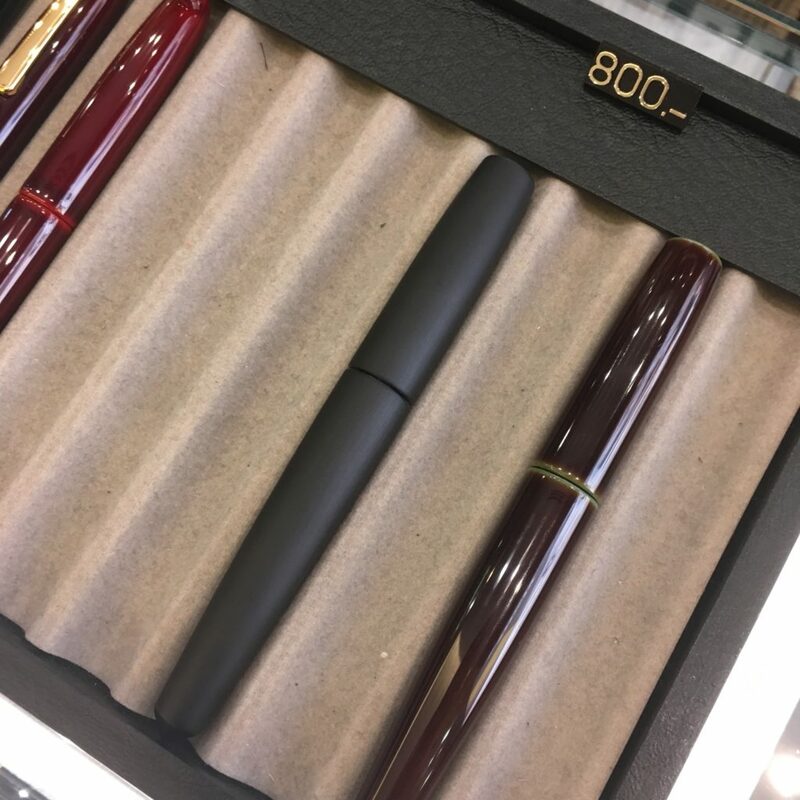 Additionally, each slot is 15 minutes long — so there isn’t a lot of time for multiple grinds, the focus is really on getting pens tuned. 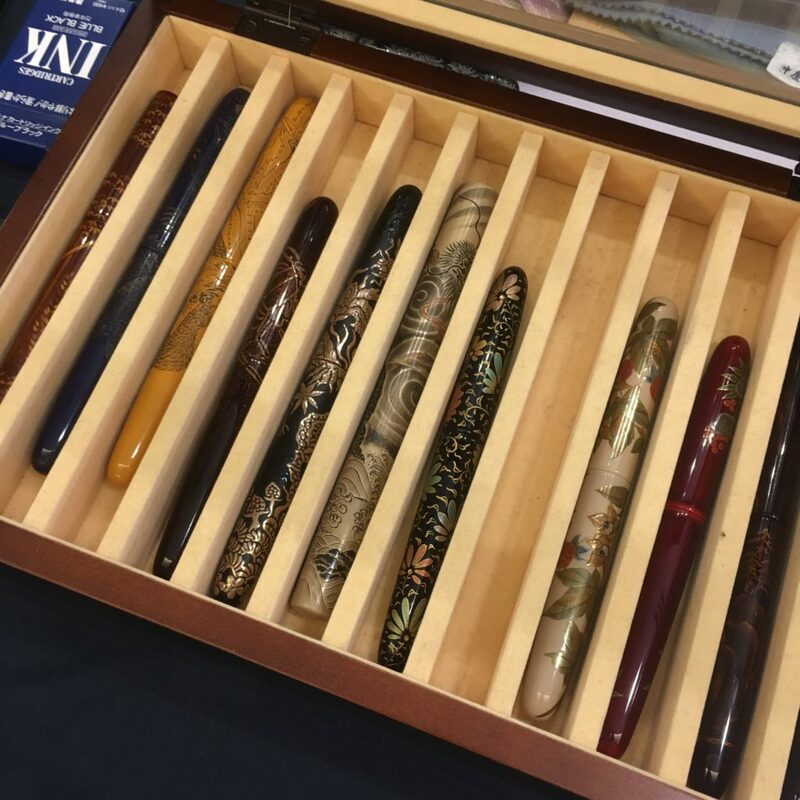 Above is the tray of “fancier” pens — there are some really interesting urushi techniques in that case, how many can you identify? New to this clinic is a new shape — a Dorsal Fin without the fin (on the right. 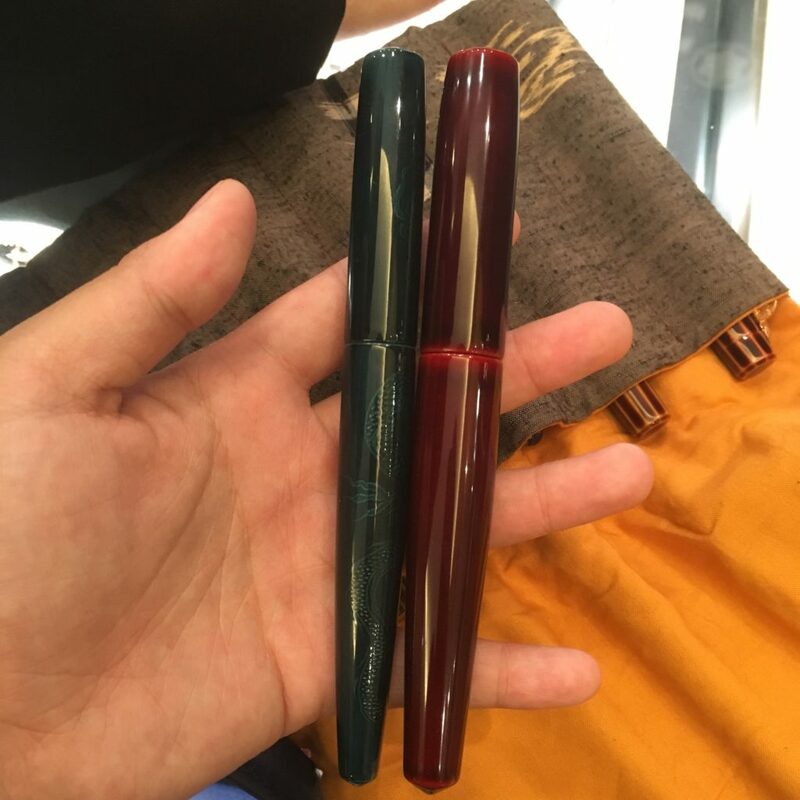 The left pen is a Naka-ai for comparison). These are list at $800 USD for the tamenuris, and $900 for a variation of hairline. When you buy a pen, they’ll tune and adjust it for you. 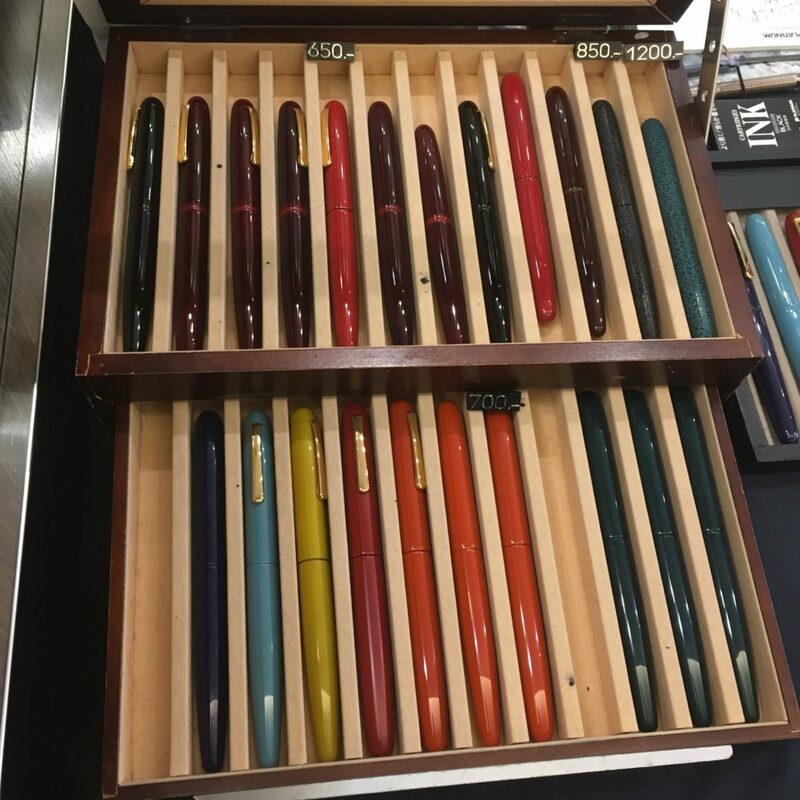 The stand on the front left are their nib testers — each stock Nakaya nib is represented and available to try. Now I really want a music nib. Yikes. My appointment is tomorrow still, so I’ll be back with updates on getting my pen(s) tuned and adjusted. 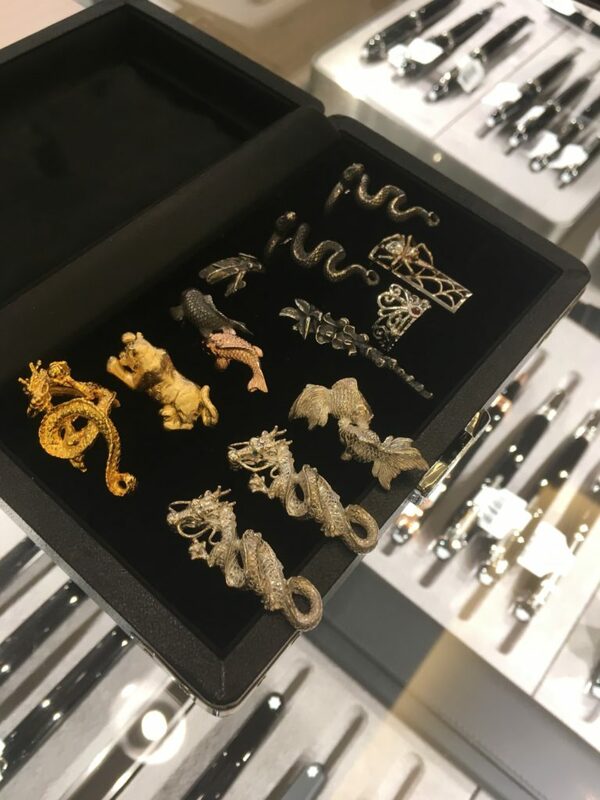 Lastly, I finished off the day with dinner with some of the Aesthetic Bay team and the Nakaya team (and a handful of other Nakaya fans!). 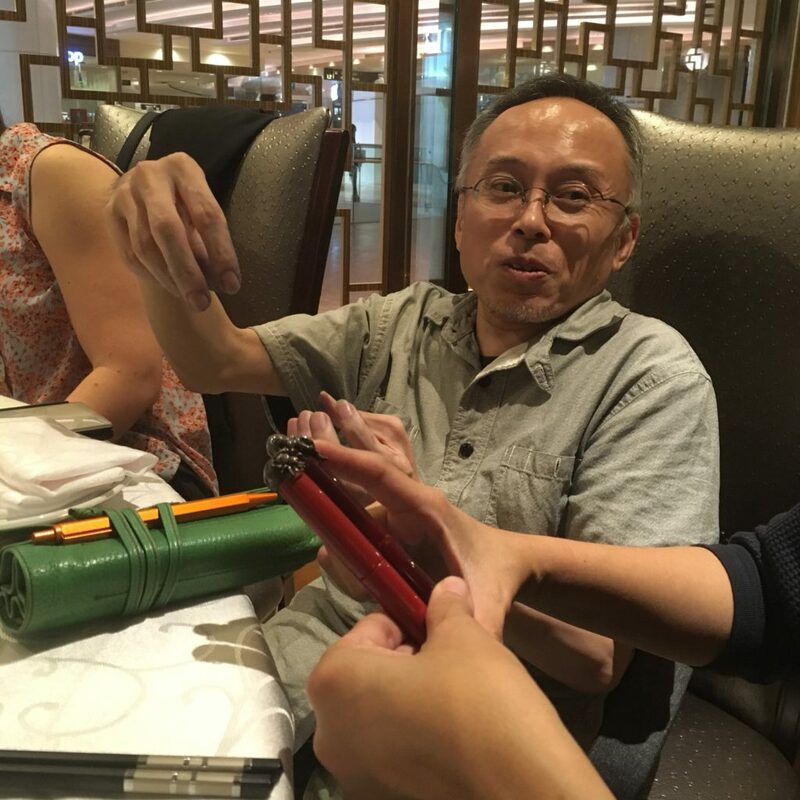 Yoshida-san showed us some of his personal Nakaya pens… and my wish list just grew a whole lot longer.